Samantha Hill is a senior member of CPPIB’s Sustainable Investing team, where she leads activities to consider material environmental, social and governance (ESG) matters in engagements with public companies, primarily on climate change, water and human rights, and works alongside investment colleagues to integrate ESG matters into investment activities. This includes leading ESG diligence efforts globally for direct equity investments across asset classes. Samantha is also one of several individuals contributing to enhancing CPPIB’s efforts to embed climate change-related considerations in investment and asset management activities and better understand the potential impacts across the Fund. 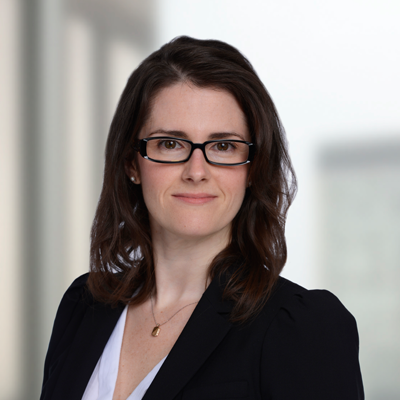 Prior to joining CPPIB in 2007, Samantha worked in multiple roles within CIBC’s Commercial Banking division related to senior debt financing for national accounts and real estate. Samantha holds an MBA from Dalhousie University in Halifax, where she completed a double major in Finance and Environmental Management.